Kassidy Kennedy is used to her father's crazy schemes -- it's better than his downswings, which are just plain scary -- but her + The X Factor is a disaster made in hell. Plus, her mom's suspiciously MIA, her brother Raff's criminal antics have gotten him in deep, and how was she supposed to know that the Other Cass, a.k.a. cute boy in boots, was (former) BFF Char's Dream Boy? Kass's life is going off the rails, and it doesn't seem anywhere close to getting back on track. At first, Kass's voice seemed forced to me. There is immense pressure on authors to have an idiosyncratic protagonist, and I was sure this was the product. But gradually Kass's voice slows down in the wacky metaphor department, a few of the more consistent stylistic features smooth out and some truly funny observations pop up. This novel's major fault lies in the combination of its brevity and its subject matter. The story plunges deep into the crevices of adultery and personality diseases, adding to the relationship stresses with friends & boy. This load of Serious Issues makes the book, in my head, into the shape of a sharp, steep V; the book's shortness compresses all these Issues and either makes them too inconsequential or too quickly resolved. Plus, there's a dose of Kass going "I have no friends to turn to, woe is me" through the middle. But what can I say? I'm a sucker for a good ending that leaves me tingly with warmth, and the repetition with Simon Cowell worked out extremely nicely in my mind. (You'll have to read the book to understand.) 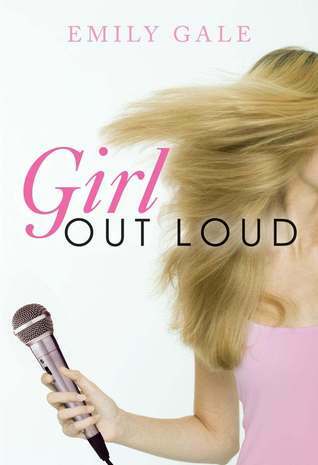 So Girl Out Loud gets a better-than-average rating.